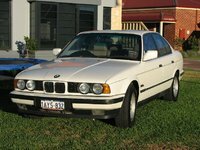 Have you driven a 1990 BMW 3 Series? Displaying 31 - 40 of 40 1990 BMW 3 Series reviews. Pros: lightweight car. fun to drive. looks very german. Cons: not a terrible amount of hp...but there are ways. Go Speed Racer — far fun i love to drift this car,for a 18 year old car the have lots of power and they handle like a dream,the best car i have had,there is nothing like a bimmer. We Didn't Name It 'evl Bemr' For Nothing — It's actually now my boyfriend's car, but I drove it for about 6 months before I bought my mini. OH IT WAS FUNNNNNNNNNNNN!! Well now it's a stick shift and to hell if i'll drive it. If I break something then the sky will come crashing down. Not 1990, 1981 Similar To Picture — 323i with loads of factory extras. straight line performance oh dear here's a bend!!!!! yeah I crashed mine, but, walked away with a scratch on my head, which I got climbing out of sunroof. Used To Be Quicksilver On Wheels, Really And Truly. 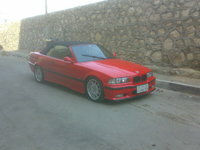 — This car used to be amazing. It was born in San Diego, CA, and it was very happy there. I used to drive her on 5 North at 2 am speeding along at 100 MPH, and it felt like I was going about 15 MPH. Her RPMs would barely crack 3,000. This was 17 years ago, and she's no spring chicken now. But she only has about 110,000 mi and she's been doing fine. Pros: Amazing handling, tight turn radius, peppy acceleration, very sturdy body (I was in her first accident this summer . . . got rear-ended by a Canadian GMC SUV on the HIGHWAY at 40 MPH, and she emerged relatively unscathed). Cons: This car's battery has died so many times I can't even count. I used to have nightmares about it. The legendary BMW 3 series is widely regarded as one of the greatest cars ever conceived. As far as pure motoring goes, the second generation E30 was arguably best in the history of the series. 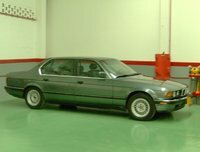 The 325IS model, especially, with it's sports trim bumper covers, sport seats, improved handling and, of course, peppy, 2.5L inline six had been refined to nearly the point of perfection especially by the end of their run by 1989-90. The E36 that replaced it, while a fantastic machine in it's own right, was a bit heavier, suffered from build quality issues especially in the early years, and was clearly a break from some of the pure sporting values that BMW had created around their brand. The E30 of 1990 Had most of the positives of what it would become; ride comfort, safety, features, but also everything that was great about what it was built on; great build quality, refined engineering, classic looks, light weight, and very little in the way of negative traits. The biggest one of those negative traits is actually not peculiar to the E30, but to all BMWs. It is both what makes a BMW a BMW, and a BMW's Achille's heel. That is, the way BMW loves to build their rubber bushings irremovably into the metal. It makes for an amazing driving experience, but when the parts inevitably begin to wear, the party's over and the entire part must be replaced. Like any older car, keeping it on the road is a labor of love, but the build quality of these late 80s & early 90s BMWs is second to none. If properly maintained, these cars will be on the road for a lifetime or maybe two. But sadly, fewer and fewer people appreciate these classics and they become more scarce every year, especially when the collector's eyes are more focused on the golden child of the family; the racetrack destroying M3. The peasant's model is often snapped up by tinkerers and modified within an millimeter of their lives and sorely abused. 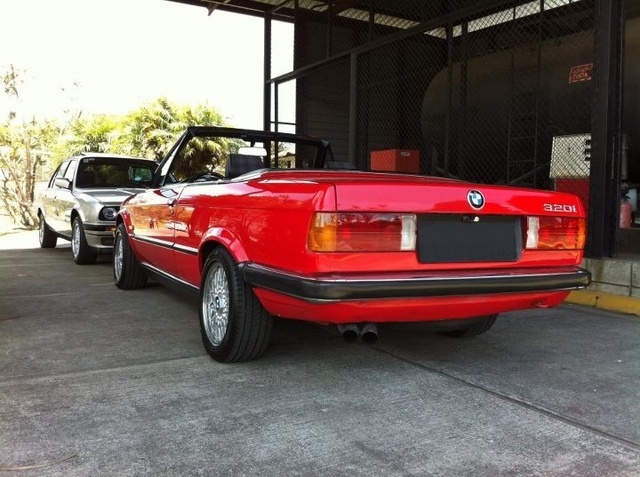 As a consequence, it is also getting harder to find an E30 that is unmolested. Anyone who appreciates older cars could do much worse than find an E30 to put in their garage. Considering the reasonable prices these cars can be had for, their reasonable reliability and iconic looks, not to mention the E30s even feel more modern in many ways than the Accords and Jettas of the late 90's, the E30 is truly a poor man's collector car. And who knows, considering all the great things about these cars, they could turn out to be a great investment. One Day I'll Buy Another One — Perfomance - accelerated nicely, beautiful engine sound. gas pedal was not very sensitive. braking was strong and the handling was great. Quality - The struts were worn out but I never replaced them. The engine ran very well. 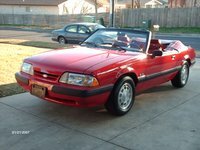 Appearance - Gorgeous car, red with black leather, paint was in perfect condition. Cost - gas mileage was average, around 19-21 mpg. Maintenance wasn't too much for me. Hey, It's A Bimmer! — It's an older one so it doesn't have all the hi tech do dads like the newer ones, but goes, stops, and turns and is engineered and built like the quality German automobile that it is. Had to sell as it is bad in the snow and I need good snow manners to get to work in the winter. Pros: Engineering, design, construction, style. Family Car Ranked 1990 Alfa Romeo 164 worse. Would Buy Ranked 1990 Alfa Romeo 164 worse. Cargo Capacity Ranked 2013 Dodge Charger SRT8 RWD better. Value Ranked 2013 Dodge Charger SRT8 RWD worse.